Joey Skaggs "The Final Curtain"
"Joey Skaggs (born 1945) is an American prankster who has organized numerous successful media pranks, hoaxes, and other presentations. He is considered one of the originators of the phenomenon known as culture jamming. " Joey Skaggs was a prankster. He enjoyed pulling pranks on the media. And only the media. "refusing to really scam anyone except the media"
How Does This Relate To Michael Jackson? Well, when I ask people "Why do you think Michael hoaxed his death?" The answer I get most often is "I think he's trying to teach the media a lesson"
Which makes sense, think about all the Hell the media put him through. Its a logical explanation too me. "This Is It, This Is The Final Curtain Call"
All I did was type in "Final Curtain Call" into google, and all I got was Michael Jackson. How does this relate to Joey Skaggs? Good question. As you now know, our friend Joey here liked pulling pranks and Hoaxes on the media. Well one of his pranks was named The Final Curtain. "The Final Curtain (2000): Skaggs' creation was a combined funeral company, virtual graveyard and theme park. It was meant to satirize showmanship in places like Forest Lawn cemeteries." Making money off of a persons death, now that sounds familiar. "He hires actors to play his customers, refusing to really scam anyone except the media. Often the prank is nothing more than a press release with a phone number; in these press releases, Skaggs leaves hints or details that easily could be checked for accuracy. Eventually, he reveals the hoax to make his point." Now wasnt Michaels death announced in a press release made by his Brother? Hints or details that easily could be checked for accuracy? Such as his Death certificate stating the wrong middle name, or The search warrent stating the wrong adress. You know, things like that? "Eventually, he reveals the hoax to make his point." Okay, so for thoughs of you who saw This Is It should probably remember Smooth Criminal. Before the song (if I remember correctly) Was a short black and white film. Remember this picture? Well Ill give you a hint, this picture was not in Smooth Criminal. This is a picture from the movie "Gilda" A black and white film made in 1946. Now, you may be asking yourself, "why is she showing me this picture?" well, its very simple. This picture resembles the begining of Smooth Criminal, alot. Infact, the whole black and white film in Smooth Criminal resembled "Gilda" quite a bit. 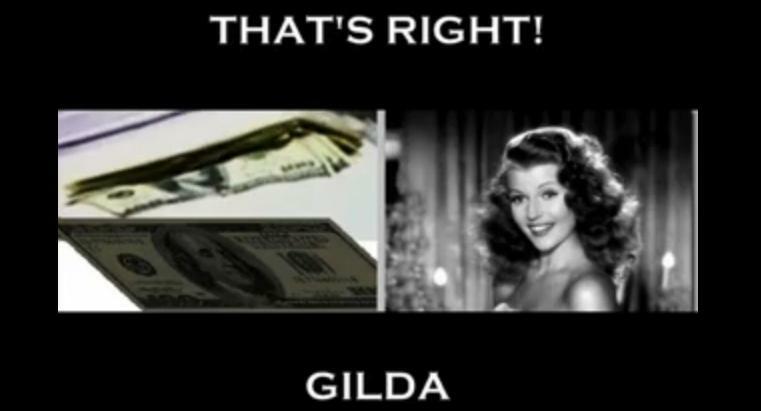 What significance does Gilda have? "Mundson reappears, armed with a gun. He had faked his death to deceive the Nazis"
A charecter in this movie, fakes his death. In the link above is a full discription of the movie. Take a look at this video, around 3:40-4:05 specificly. So heres anouther instance where Gilda comes up. Hello Michael .. How are you .. ??? and you know what ? I LOVE YOU !!! Before you read, Know that ALL credit goes to Layla (Streetwalker) for her amazing research and dedication to finding the truth. 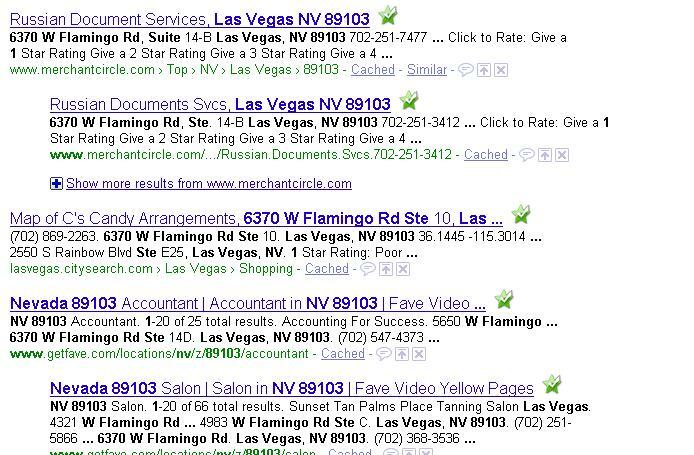 So we all know about the search of Applied Pharmacy Services in Las Vegas. 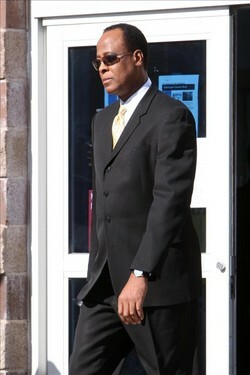 The pharmacy belived to supply Dr.Conrad Murray with Popofol. 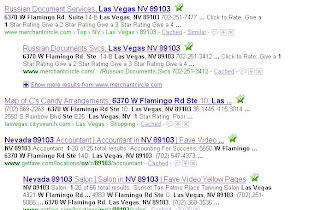 The purpose of a search warrent, is for police to get the right to search a certain location. A search warrent for my house wouldnt give them the right to search my neighbors house. Why? Because they are two different adresses. Which makes them two different locations. Therefore, it wouldnt be legal for them to use it on my neighbors house. Now, why am I telling you this? Its very simple acctualy, let me show you some pictures. Looks like a "Salon & Haircut Spa" to me, I dont see a pharmacy anywhere in that picture. "The order of songs is the same as they would have been during Jackson’s comeback tour in London"
That would of been more believable if it were acctualy true. Here is a picture of the albums back. So, tell me...wheres Dirty Diana? We know he was soppost to preform that during his "concert". Kenny Ortega said so himself. But its not on this album. Why not? Insted its all the songs that were in the Movie. This tells me that This Is It was intedned too be a movie all along. 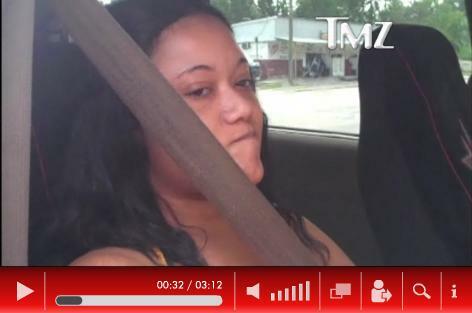 As many of you alredy know, TMZ seems to be MORE than ontop of the Michael Jackson coverage. So, TMZ knows and confirms Michaels death 6 Minutes BEFORE he acctualy "died"
Tmz considered him dead before anyone else, now they dont consider him dead at all.. So, Martha Stewarts cat, and a dog who was in Lady GaGa's music video are more important to report than Michael Jackson. okay. Hey Look! 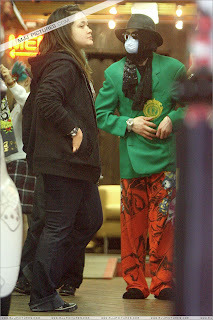 Here she is in Ed Hardy with Michael Jackson April 27, 2009. So thats kind of a big coincidence that she was with Michael on April 27th a little less than 2 months before Michael "passed away", and now shes being accused of hiding evidence for our Doctor (who is totally real by the way*) Who "killed" Michael. What a big coincidence. On a side note...The names LaQuanda and LaQuisha sound totally* real. 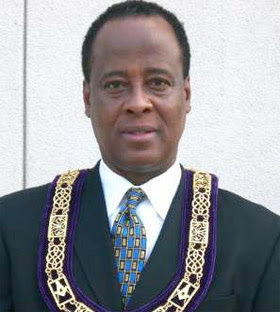 "Conrad Murray is affiliated with two hospitals, one in California (St. Rose Hospital in Hayward, Cal.) and Texas (Doctors Hospital Tidwell, Tidwell, Tex)"
I dont think so, but it was a nice try. 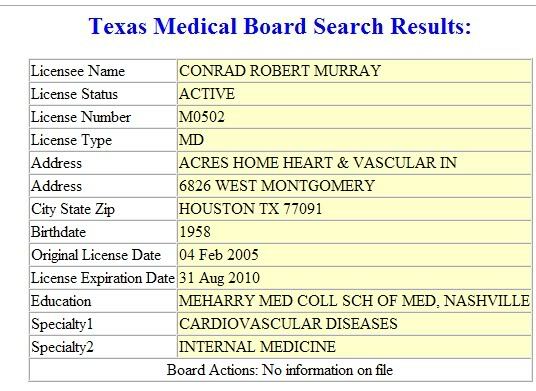 Conrad Murray does not exsist in that hospitals data base. As for "Doctors Hospital Tidewell" It does not provide the option to search for doctors. Convenient? A little. But heres the website : http://www.dhthou.com/ It will provide you with nothing. thats about all the info they give you, lets just do a search on theese people, shall we? Mike Bullard- hockey player/Canadian talk show host? Must be the wrong Mike Bullard. So I did a google search of "Mike Bullard CEO" and I got ONE site that had his name, and the word "hospital" in the same link. So I went too it. That looks about right, I wanna know more, so lets click on read more. I clicked on read more, but it brought me too a page with a long list of "Physician-Owned Hospital CEOs" ones I guess we should know. But the only one I was intrested in knowing about is Mike Bullard, but oddly enough, he wasnt even on that list. Just incase this hospital was related the the one Dr.Murray is supposivly "affliliated" with, I did a search in this hospitals Dr. Dictionary. OKAY. 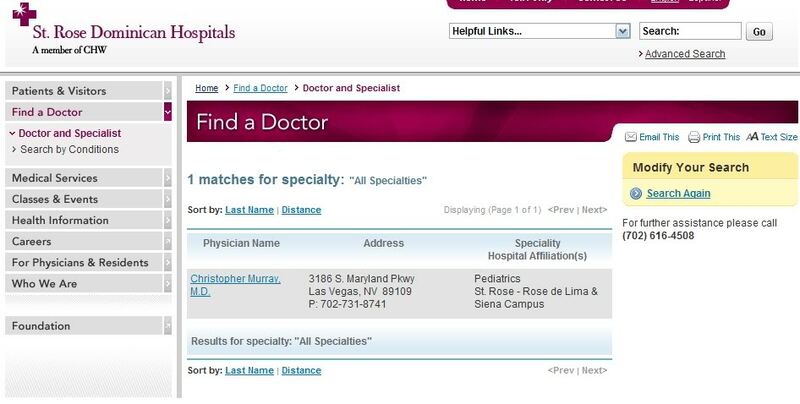 So we can conclude that Dr.Murray is NOT affiliated with St. Rose Hospital in Hayward, as stated. The proof is right up there, he is not listed in there Dictionary of Doctors. And as for this "Hospital Of Doctors" Im assuming it is a real hospital but there website is VERY unprofessional compared to all the other hospitals websites. I dont know anything about Hospitals and the medical business so I cant make any conclusions, but you have my research above ^^ and you can make up your mind up youself. On anouther topic, how old is Dr.Murray? I take this as a trustworthy professional site. 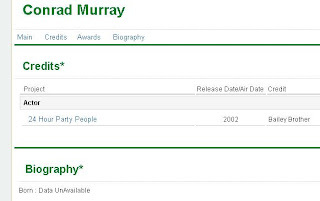 But wait, Look at this pretty picture, Murrays famous Mugshot. The countrys legal system does not lie. I shouldnt have to say whats wrong with that picture. Lets have some reader interactment! tons of hits for both. Well Im sure we have all heard the expression "Like father like son" right? Well, how about "Like father-in-law, like son-in-law"? 'Cause that seems to be the case here, and you know exactly what Im talking about. Michael Jackson and his ex Father-in-law Mr.Elvis Presley. Lets just look at the similarities, shall we? Elvis mourners questioned his oddly arched eyebrows and a pug nose. Two hours after the public announcement of Elvis'death a man who looked like Elvis purchased a plane ticket for Buenos Aires under the name of John Burrows, an alias Elvis had used on several occasions, and one that was reported in government documents. A number of Elvis' most prized books such as his Bible, Chiro's Book of Numbers, and the Autobiography of a Yogi all disappeared after his alleged death, never to be recovered. As well as photos of Lisa Marie. Both sent flowers to loved ones? A former paramour named Lucy de Barbon received a single rose in the mail on the day after Elvis' alleged death with a card identifying the sender as "El Lancelot", her secret pet name for Elvis, unbeknownst to anyone else. A few days before Michaels dead Liz Talor tweeted "Somebody I care for very much sent the following note to me with flowers and I wanted to share it with you"
Less than three weeks before the first show was due to begin in London and with all concerts being sold out, Michael Jackson died of a cardiac arrest. Elvis' death certificate says "Elvis Aron Presley” But on his grave his middle name is spelt like "Aaron"
Michael Jacksons passport states his middle name as Joe, as well as many court documents. But his death certificate states it as "Joseph"
All sounds farmilliar, right? Of corse it does, im talking about Michael Jackson, right? Nope. Im not. What if I told you Im not talking about Michael Jackson, but some other major music icon. Thats right, Im talking about Mr. Paul McCartney! "Rumors of Paul McCartney's death began to circulate in 1969, a time when the strained relationships among the Beatles were becoming public knowledge. The story was that Paul McCartney had died in a car accident at 5:00 a.m. on Wednesday, November 9, 1966. 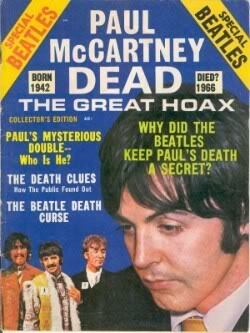 Paul McCartney Dead: The Great Hoax suggested that Paul had picked up a female hitchhiker on his way to visit friends. 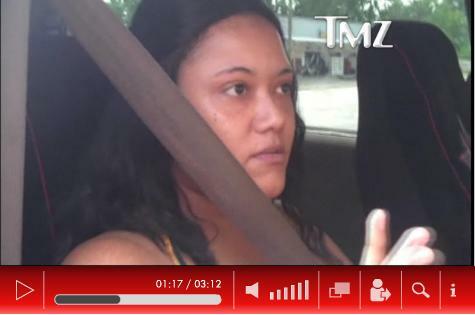 The woman became so excited when she realized who had picked her up that she threw her arms around Paul and caused him to lose control of the car. Both Paul and his passenger were killed when the car swerved off the road and hit a stone fence. And here's where the story takes a turn toward the ludicrous—Paul was decapitated in the accident and the trauma to his head was so severe that even his dental records were useless in identifying the victim! Not wanting to lose potential record sales, record company executives suppressed the story of Paul's death and brought in a lookalike to replace him. For some reason (this is the part where you have to suspend disbelief) the surviving Beatles agreed to go along with this scheme, but they left clues on all of their subsequent albums about Paul's death and the imposter who took his place. 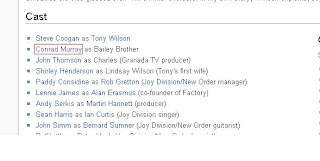 Paul's stand-in was a man named William Campbell, who had won a Paul McCartney lookalike contest. With a little plastic surgery, William Campbell had taken Paul's place in photos of the group. The surgery had been successful except for a small scar above his lip. 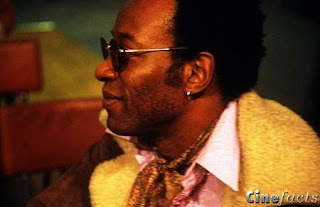 And, as luck would have it, William Campbell could also sing and just happened to be a songwriter with an exceptional ear for pop melodies. " Basicly The Beatles pretended that Paul had passed away in a car accident and left "clues" in there songs to get more record sales and gain popularity. Waite just a darn minuet! "Im alive and Im here forever" where have I seen that before? It sounds soo farmilliar...OHYEAH! 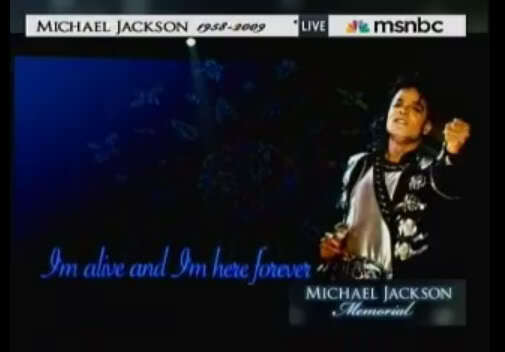 Thats right, it was on the wall in big letters at Michael Jacksons Memorial! 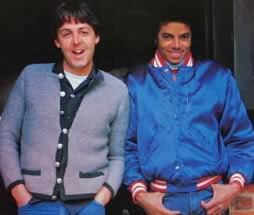 As you can see, Michaels friendship with Paul is quit a significance. But hey, what are friends for, right? Conrad Murray Is An Actor. When I tryed to do some search on "The Plague" I didnt get much at all. So I put my main focas on "24 Hour Party People"
Looks alike doesnt it? I think so, but some people have there doubts. But hey, were all entitled to our opinions. The Death Of Michael Jackson. 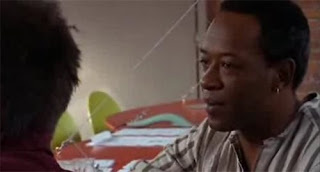 So, if actor Murray and Dr. Murray are not the same person, why is Actor Murray being assosiated with the Death Of Michael Jackson? 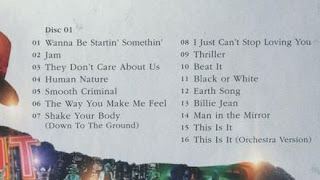 Notice where unter Biography it says "Data unavailable"
Dr Conrad Murray is set to launch a lawsuit against AEG for the medical services he provided for Michael Jackson, according to reports. Miranda Sevcik, a publicist for Dr Murray’s lawyer claims that the music and entertainment group owes Murray US$300,000. She says that AEG has been “dragging its feet”, even though Murray has requested that he get paid for two months of work for the late singer. Sevcik claims that Murray gave up his medical practice to sign a binding deal with AEG - who have yet to pay up. Sevcik told TMZ that Murray is not going to file a creditor’s claim against Jackson’s estate. “Dr Murray needs the money and he’s entitled to the money based on the contract he signed with AEG,” she said. 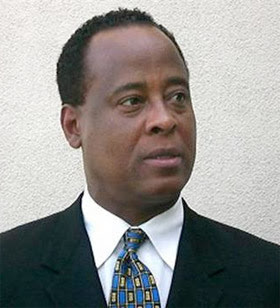 AEG could not immediately be reached for comment.Dr Conrad Murray is set to launch a lawsuit against AEG for the medical services he provided for Michael Jackson, according to reports. AEG could not immediately be reached for comment. Theese are awsome! Did you write them? Good Job! Well that sure is some great work! you should have been a detective! us again and not to protect a murderer!! !